In May, Greenville Public Library's Third Floor Film Series will be screening Sparrows. 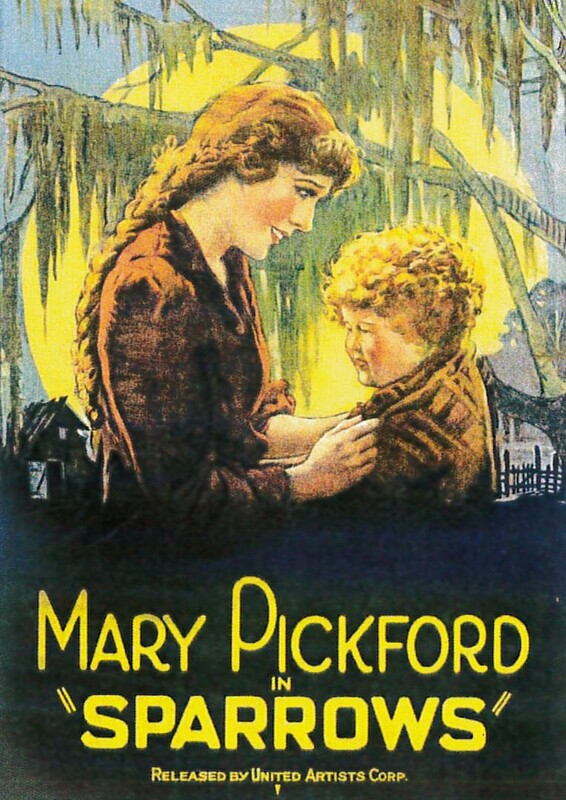 This 1926 film starring Mary Pickford is a fantastic comedic adventure film about a group of orphans living on a dilapidated farm in the swamps of Florida. They are neglected and abused by the couple who owns the farm, who use them for cheap labor, and eventually Pickford's character leads them on a daring escape through the alligator-infested swamps to safety. The film showcases Pickford's underrated skills as a comedienne, as well as providing a suspenseful action climax and a heartwarming ending. There has never been another Hollywood star to reach the height of popular glory Mary Pickford attained. She was adored and scrutinized at a level even our modern internet culture cannot rival. At one point she was considered the most recognizable woman in the world, beating out Queen Mary of England. We’ll never see another star like her, and you won't regret taking the chance to see one of her films on a large screen. Please join us as we screen this silent classic on Thursday, May 19, at 7 p.m. We look forward to seeing you there.